Another painting from my In Our Veins series has found a new home. The title is Parting and it is one of my small paintings from the series (currently only one left! 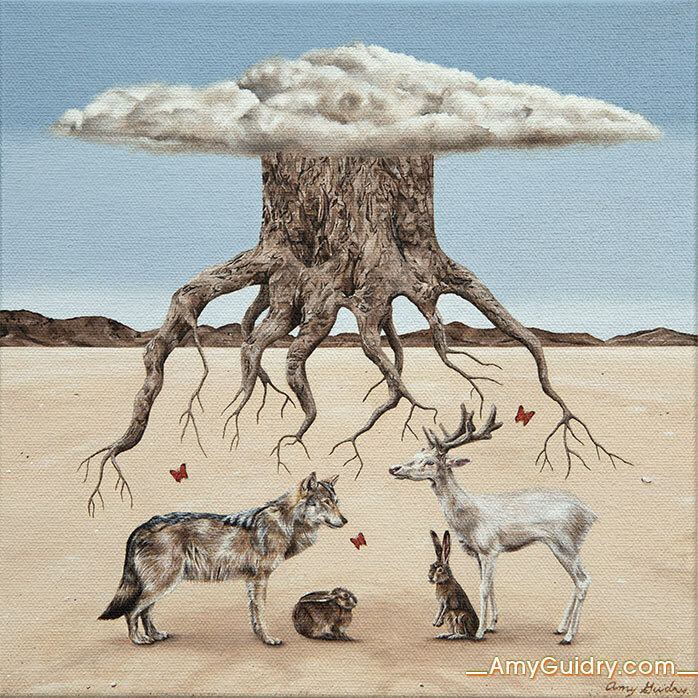 http://amyguidry.com/change.html). Both paintings are acrylic on canvas. View Parting online here: http://amyguidry.com/parting.html. I’ve recently finished a new painting from my In Our Veins series. 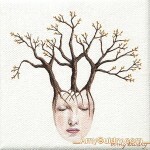 The title is Shelter and it is an acrylic on canvas, 10″ x 10.” View the painting online here: http://amyguidry.com/shelter.html. 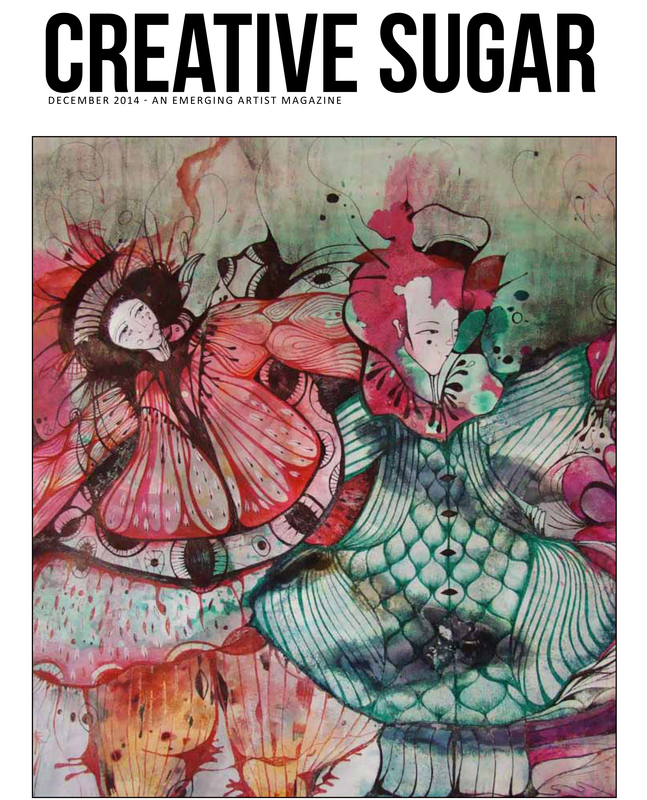 I’m happy to announce that my work is featured in the current issue of Creative Sugar Magazine. 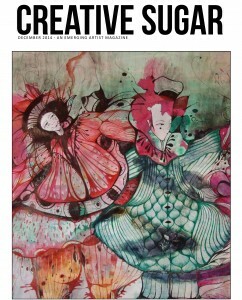 The December issue includes my work as part of their Artist Diary feature. Several of my recent paintings are included as well. Read the feature online here: http://www.creativesugarmagazine.net/history-amy-guidry/. My recent painting I created for the Wanderlust exhibit has found a new home. Interdependence is an acrylic on 600 gsm pressed paper postcard, roughly 6″ wide by 4″ high. It is currently on display as part of the Wanderlust show at Modern Eden Gallery in San Francisco. The exhibit is up now through January 3rd. Two paintings from my In Our Veins series have found a new home in the United Kingdom. Kinship and Unify are both acrylic on canvas, 4″ x 4″ each. 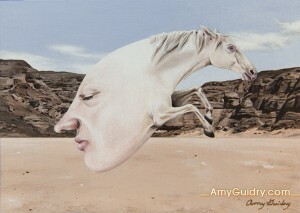 View the rest of the series online here: http://amyguidry.com/wild_west.html. 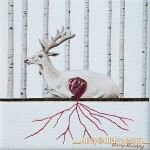 My most recent addition to the In Our Veins series has found a new home. It was just featured in my holiday newsletter earlier this week. 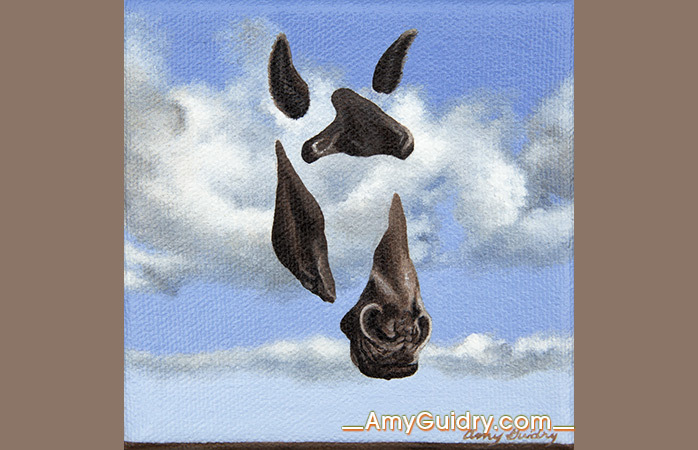 The title is Evanescent and it is an acrylic on canvas, 4″ x 4.” View it online here: http://amyguidry.com/evanescent.html. 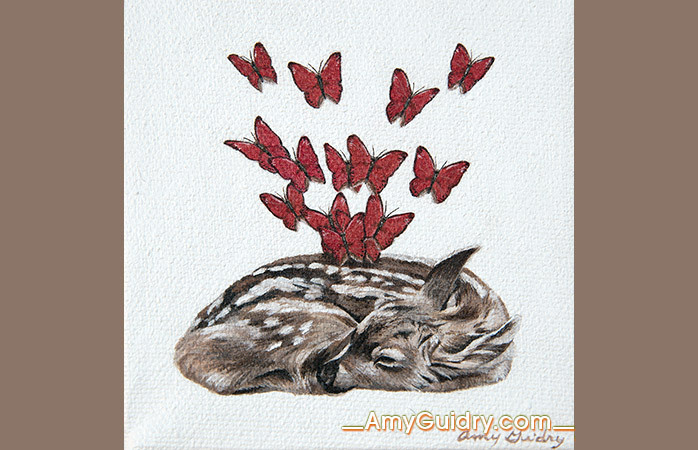 And if you would like to receive my special holiday newsletter, just click the newsletter icon here: http://amyguidry.com/contact.html.